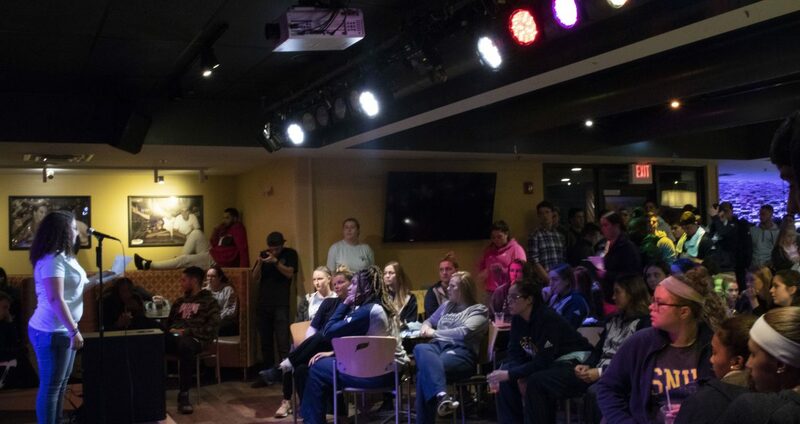 The ninth annual Take Back The Night event held by The Deborah L. Coffin Women’s Center took place September 25 in the Last Chapter Pub. Take Back The Night is an international charitable foundation for the fight against sexual assault. This year’s event saw some unforeseeable circumstances with having to hold off on the march due to rain and last minute cancellation of guest speaker Kyla Lacey. The march is to be rescheduled to Saturday, October 20. The Women’s Center staff chose to persevere with high spirits, proving how important the night was to them. Even with the last minute changes, this year’s Take Back The Night was still a passionate and compelling event filled with poems, chants and great support. Brooke Gilmore, Director of the Women’s Center, commented on the importance and purpose of the event. “To help amplify the voices of our community members, to provide them [with] a supportive community and to let them know that we are here for them. To let them know that this is their space and that we are going to advocate with them for what their needs are,” Gilmore said. She continued to explain why the Women’s Center chose to go ahead with the event, even with the last minute changes. “It didn’t feel right to cancel. This is a super important event that has a lot of meaning,” Gilmore said. These changes didn’t hinder the night but brought the community together. The night began with a few Women’s Center student-faculty members reading poems like “How Many Dicks Does It Take To Be A Hoe” and “If You Give a Man Your Cookie” to the students standing shoulder to shoulder in the packed pub. The poems had a few comedic undertones, but the honest and brutal message behind them seemed to get through to most. The mic was then opened to students who wanted to come up and share some words of their own. After a few silent moments, one person came up to read a poem and the line continued from there. Aaliyah Paxton (’19) has attended every Take Back The Night in her four years here on campus and commented on her appreciation for the open mic layout. “It was more engaging I feel like, especially opening the floor to people who want to talk and who want to speak out,” Paxton said. The night was organized to educate students about sexual assault and encourage them to start a conversation and feel safe in doing so. Kylie Lorenzen (’19) felt the event did just that. 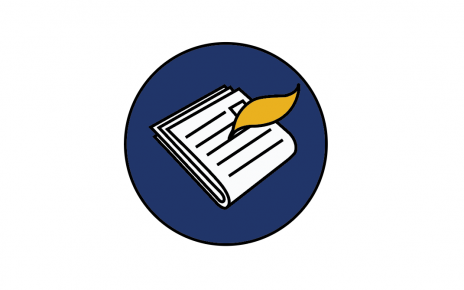 “It’s an important subject, but it’s also a hard subject for a lot of people to talk about, but events like this make it easier to bring people together,” said Lorenzen. The night was inspiring and eye-opening for all attendees who decided to listen with an open mind. Danielle Sirois (’22) was one of those inspired students. “It’s kind of like a reminder that you’re not alone. Unfortunately, other people go through this a lot and it’s okay to speak out or report it,” Sirios said. 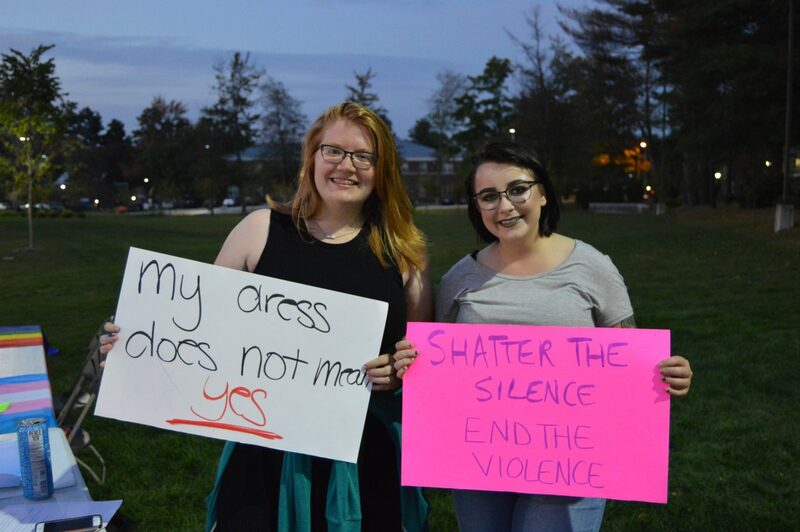 This year’s Take Back the Night did not go according to plan, but still prevailed by showing support for students and giving them a voice that will be heard. The night was deemed a success as Gilmore shared what she hoped people took away from this night. “I would hope that people knew they weren’t alone,” said Gilmore. On October 20, The Women’s Center invites students to march with them at their Take Back the Night Block Party. To find out more information, you can look on their twitter page @SNHUWomensCtr. 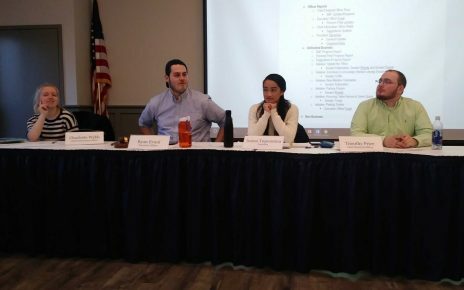 SNHU's Student Government Association (SGA) approved a new structure during their biweekly meeting on Tuesday, February 26 at 5 p.m.